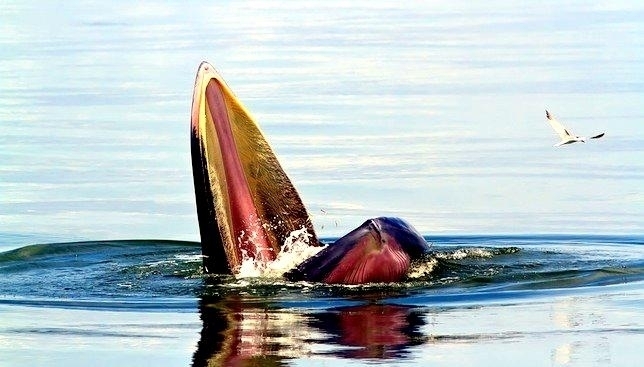 Bryde’s Whales which is pronounced “Broo-dess” are unlike all other rorquals. 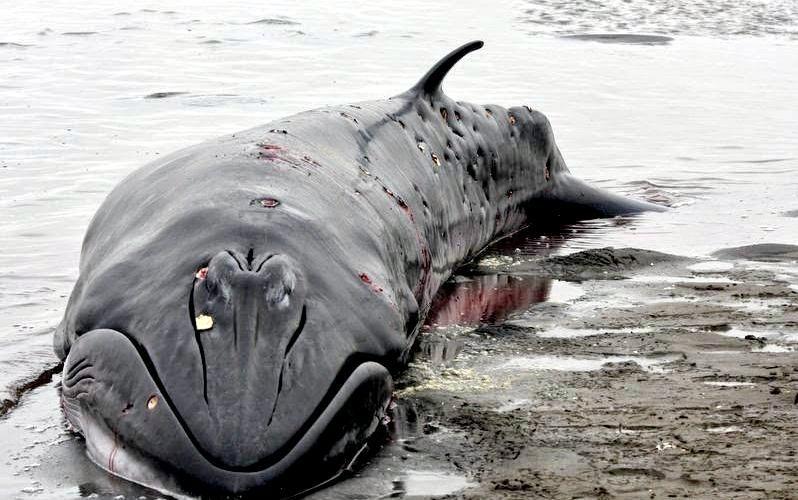 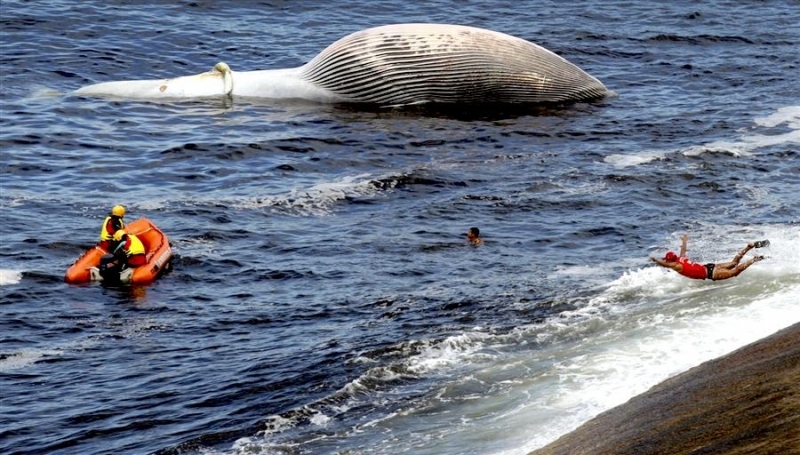 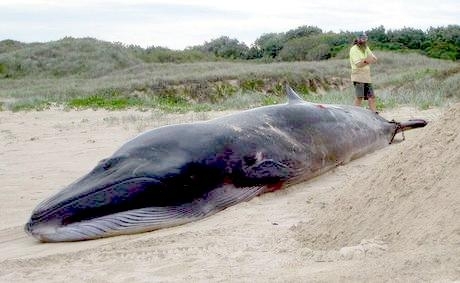 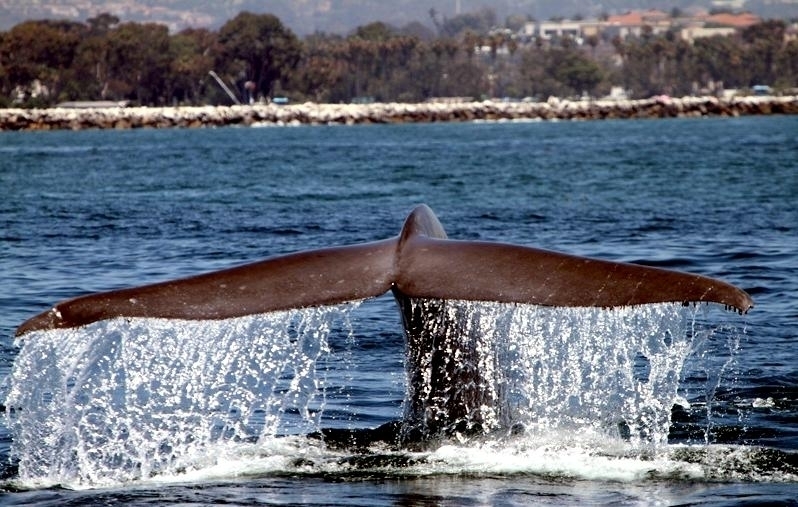 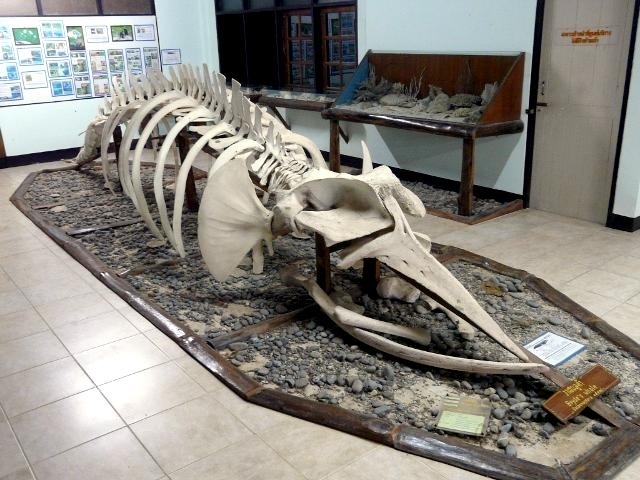 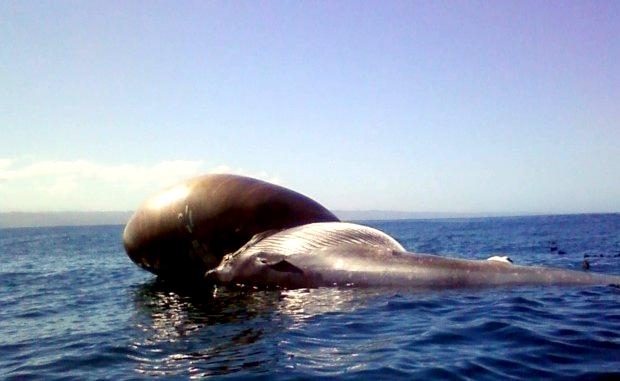 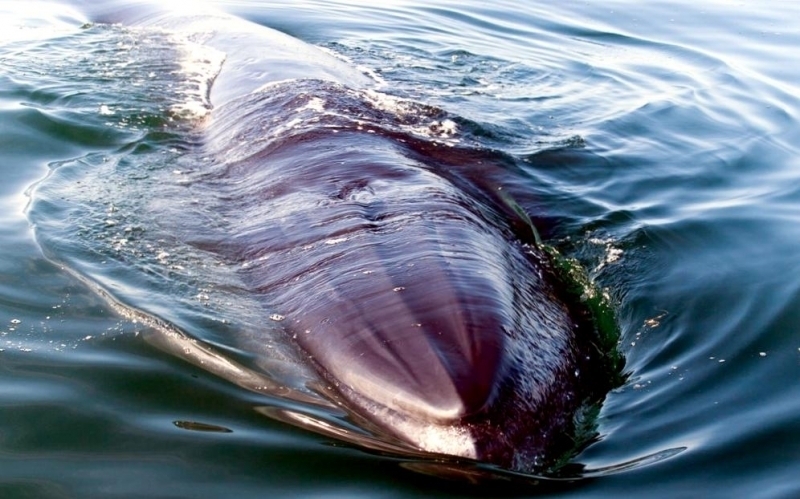 This whale gets its specific & common name from Johan Bryde, Norwegian consul to South Africa who helped establish the first modern whaling station in the country. 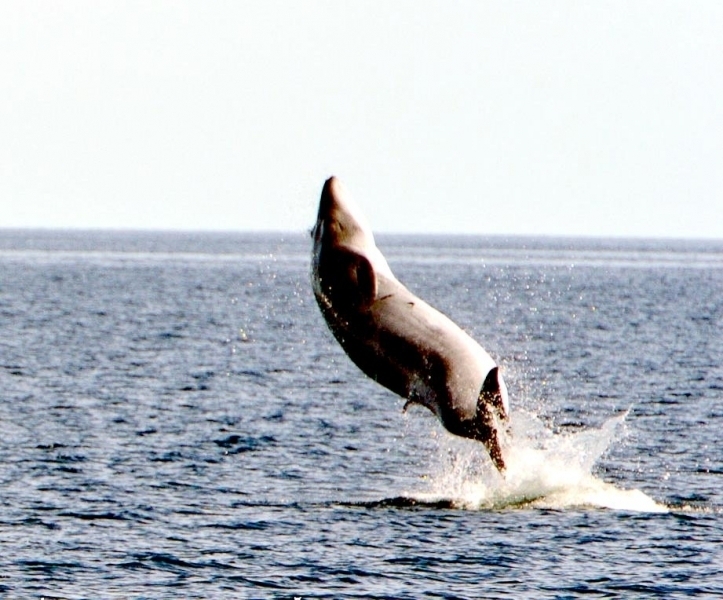 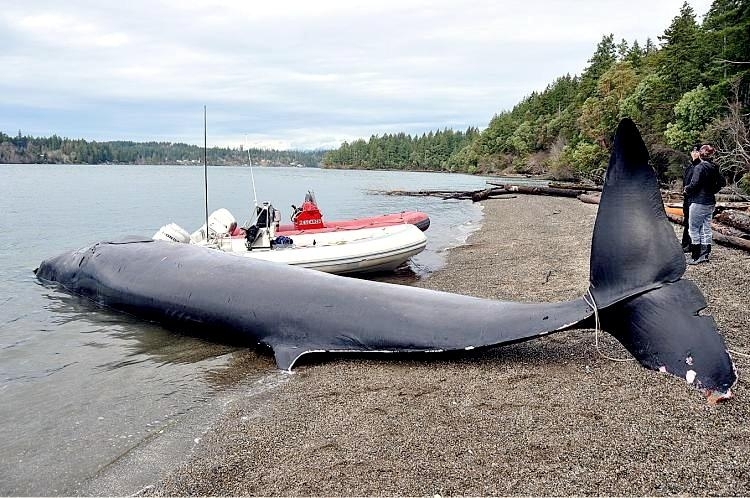 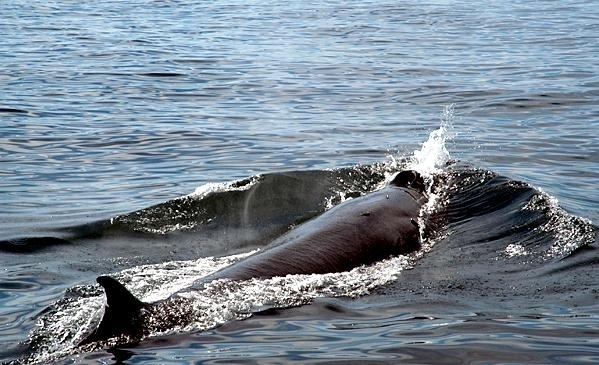 These long, slender whales are much more streamlined than other large whales and are dark gray in color on the dorsal side with a yellowish white ventral side. 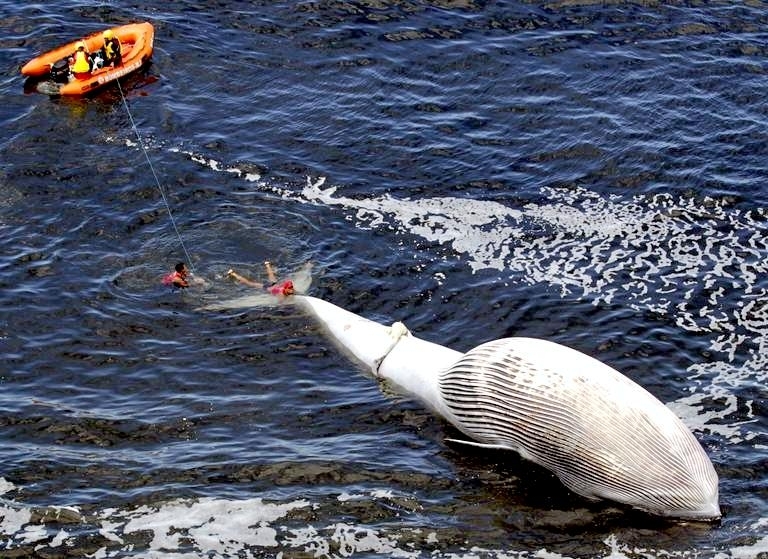 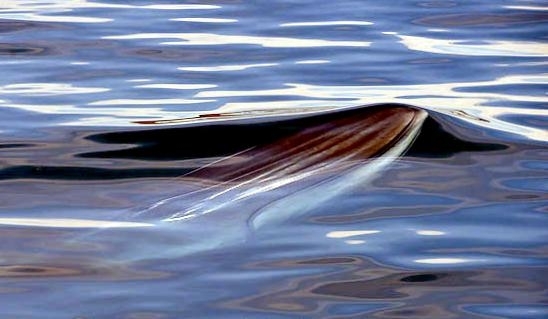 They are the second smallest rorqual with an average length of 12 meters, although the female is usually about 0.3 meters longer than the male. 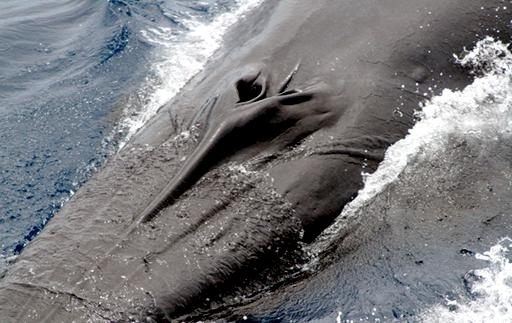 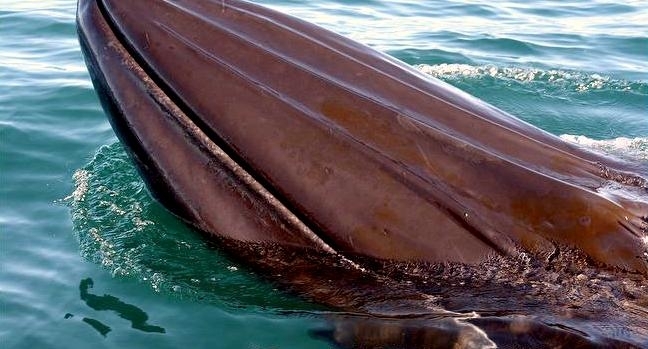 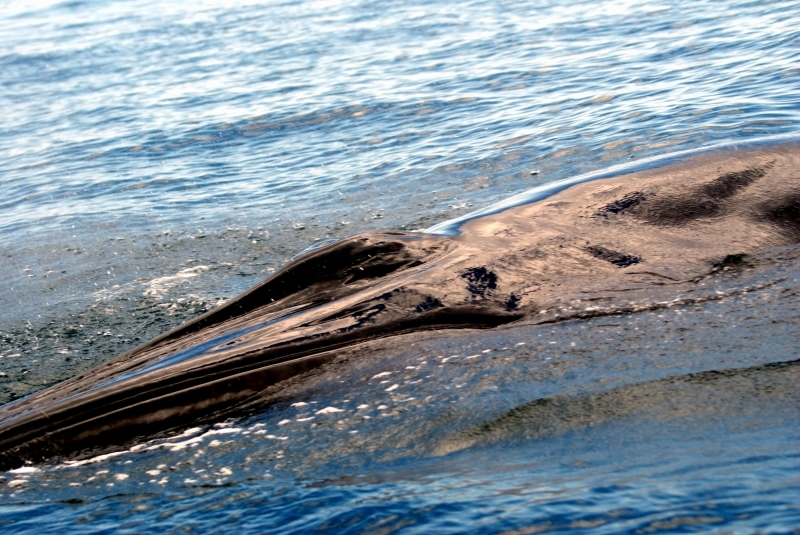 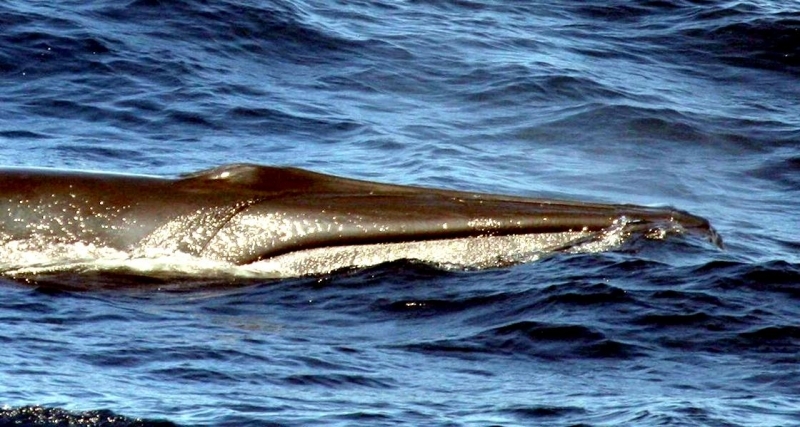 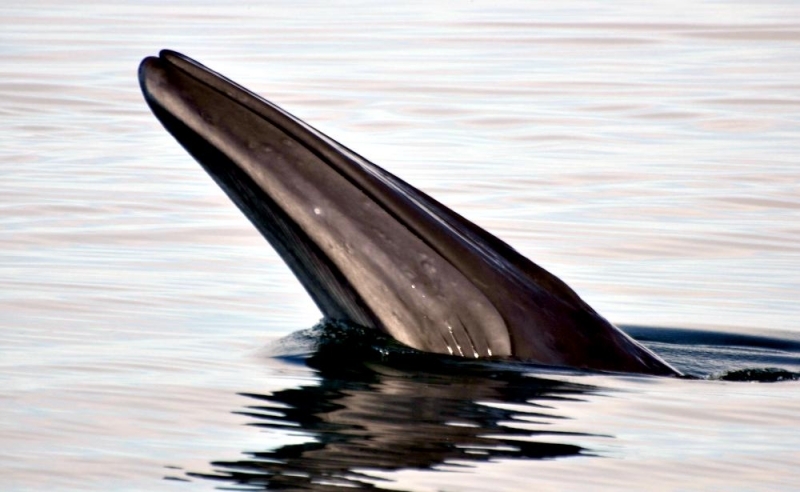 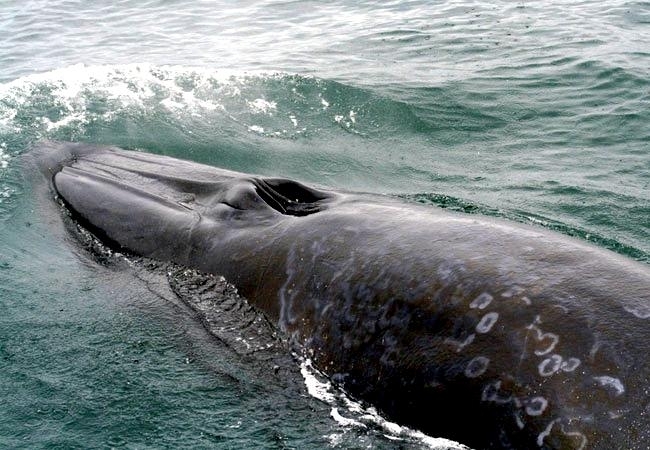 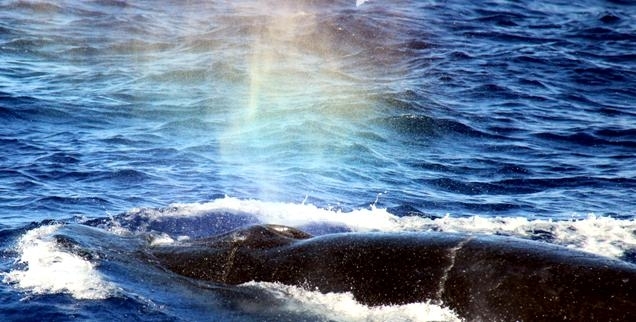 Bryde’s Whales have 2 blowholes located on the top of the head. 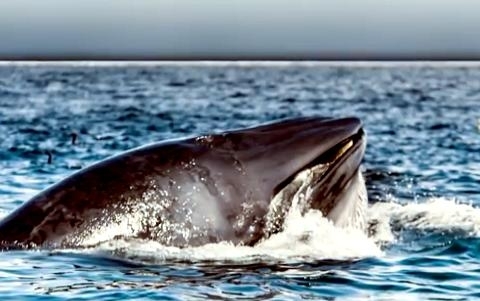 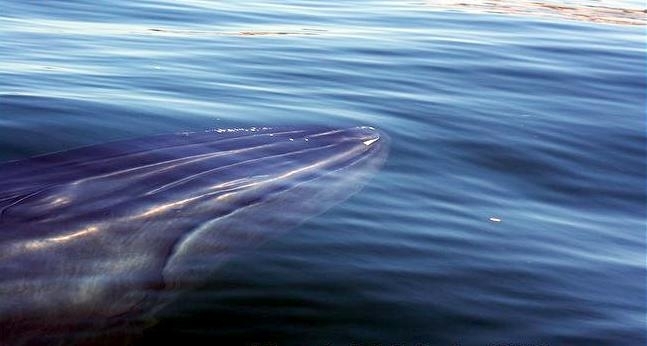 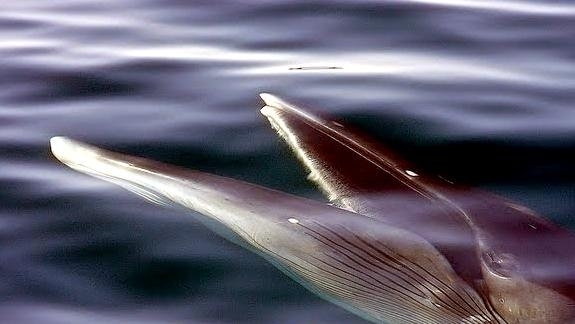 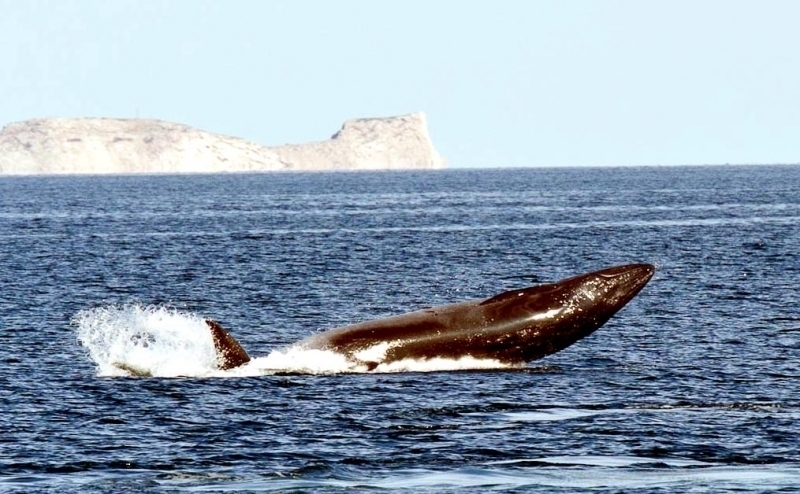 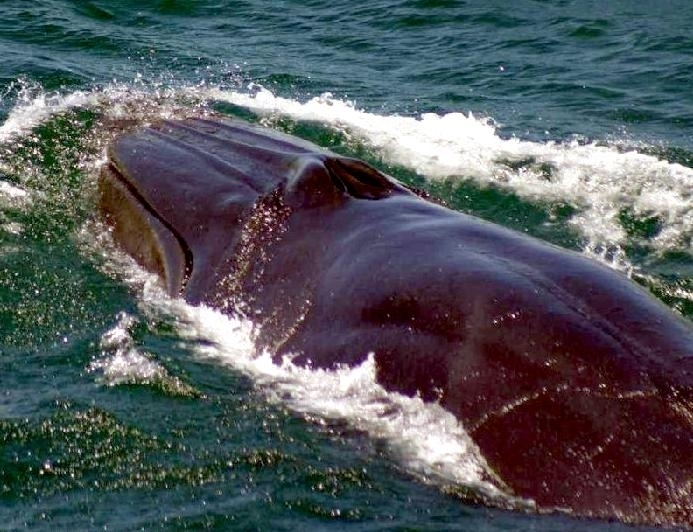 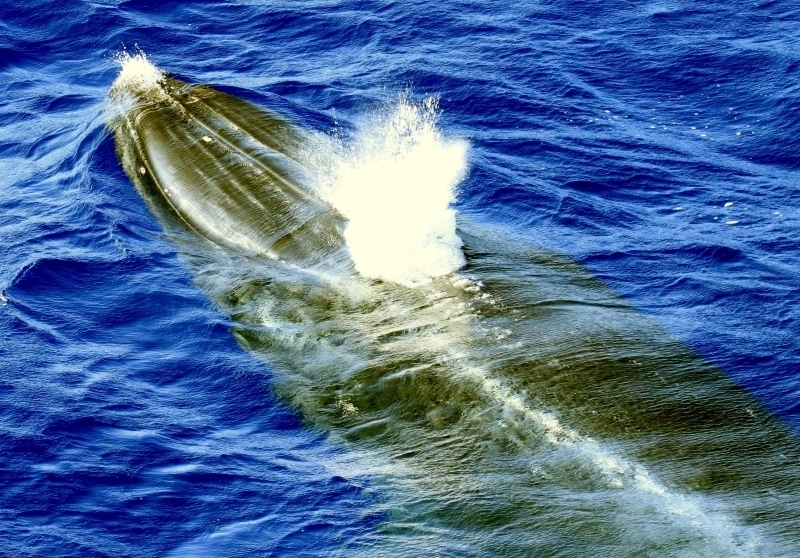 Bryde’s Whales are often confused with Sei Whales, however the Bryde’s Whale has 3 parallel ridges in the area between the blowholes and the tip of the head. 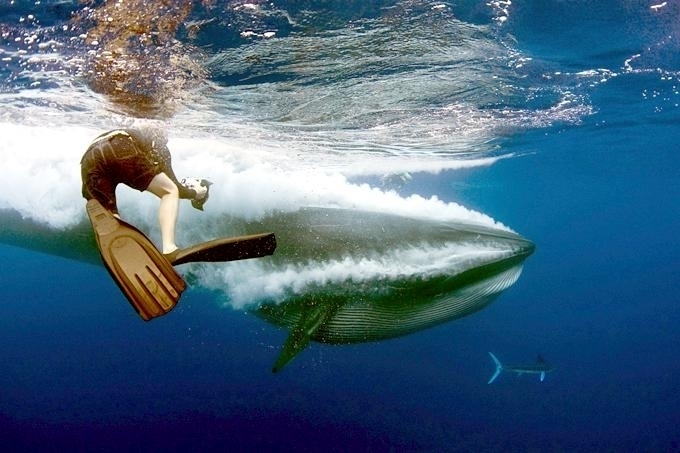 The flippers are small compared body size. 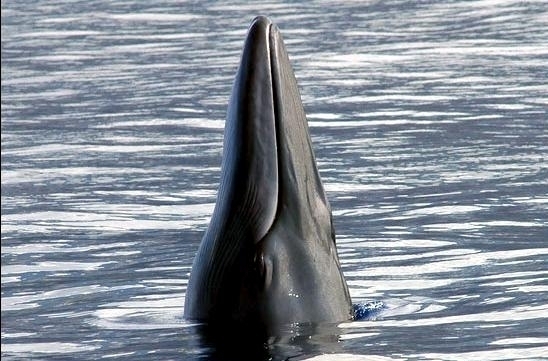 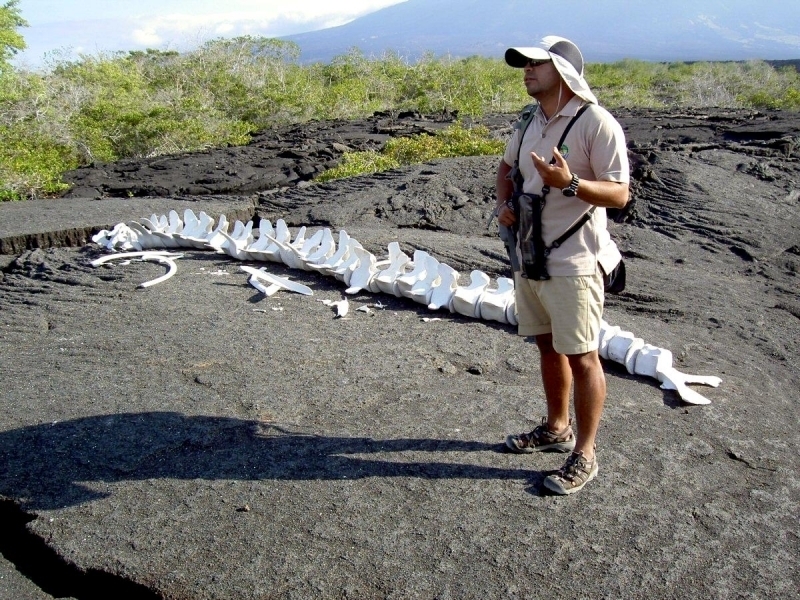 The prominent dorsal fin is sickle-shaped. 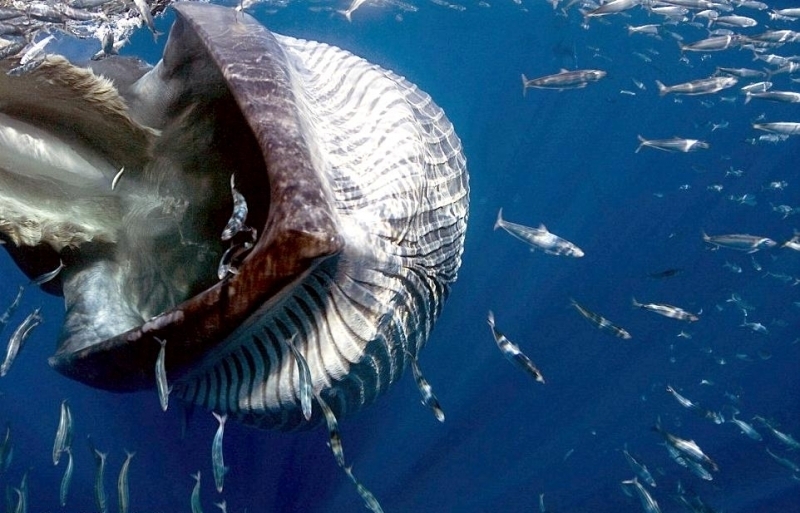 Instead of teeth, these whales have 2 rows of baleen plates. 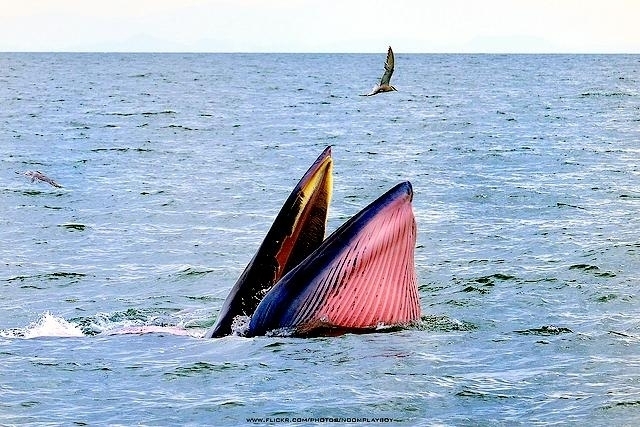 These plates are located on the top jaw and number approximately 300 on each side. 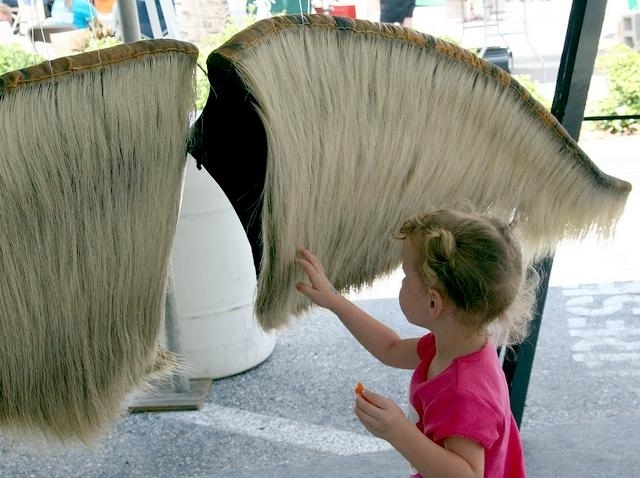 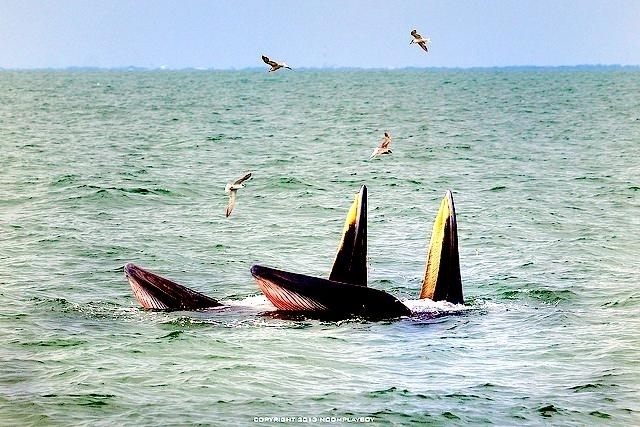 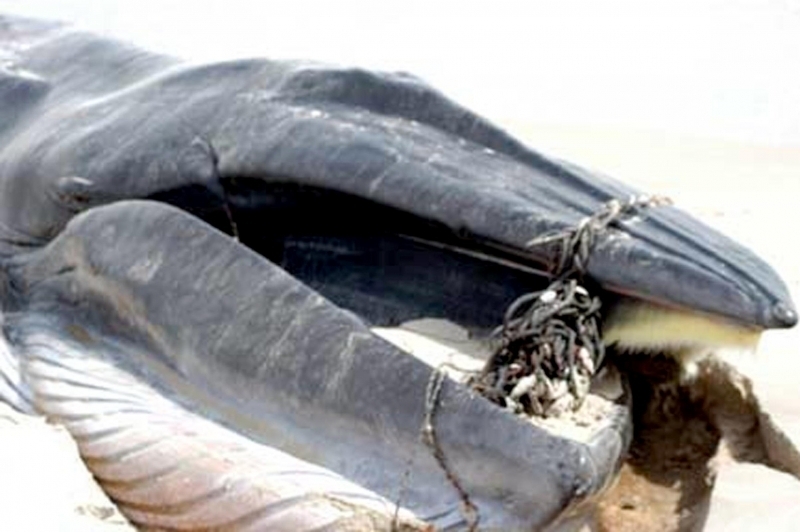 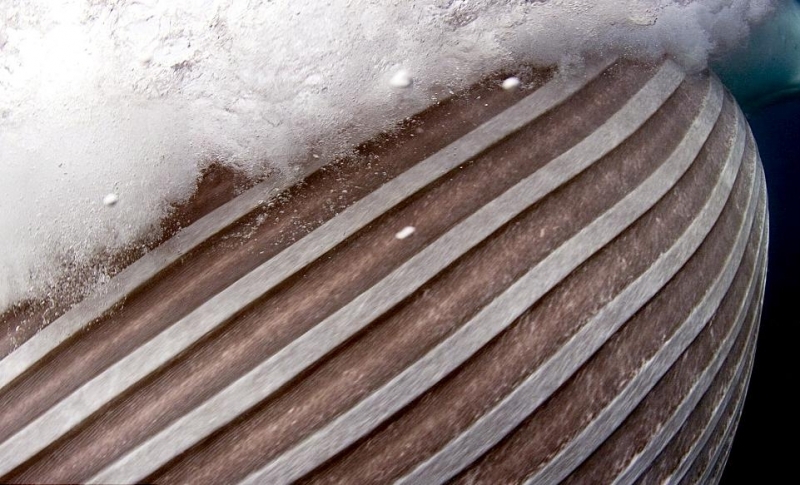 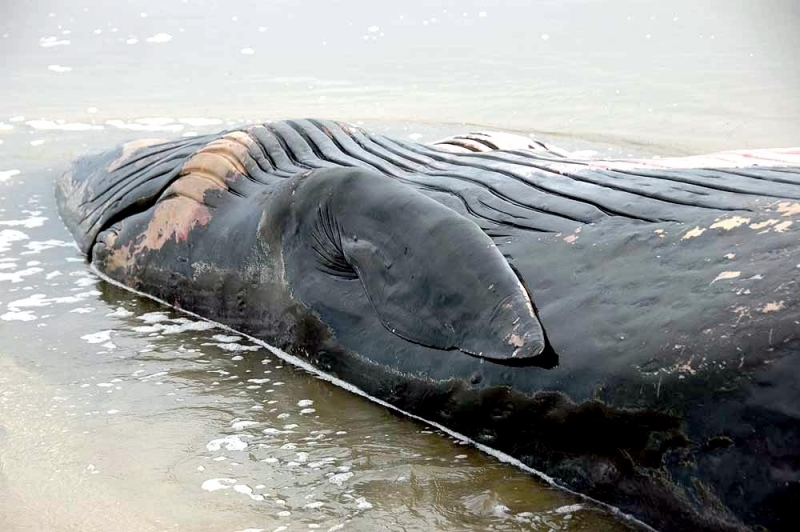 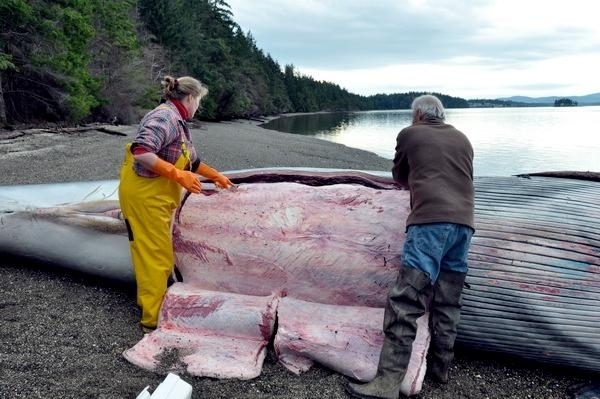 Each baleen plate is short & wide, 50 centimeters by 19 centimeters. 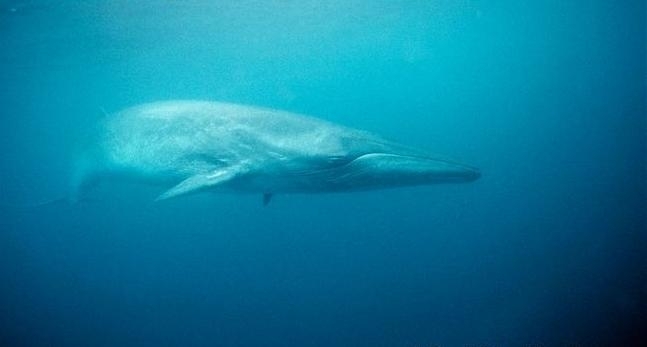 Thought to live between 50-70 years. 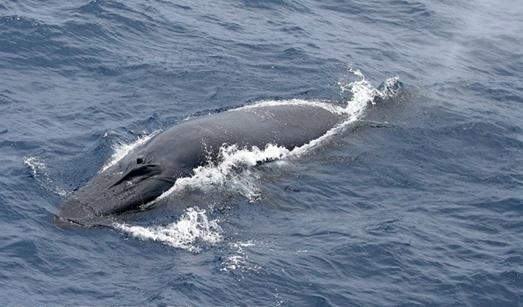 Bryde’s Whales are found in the Atlantic, Pacific and Indian oceans and off the coast of Ethiopia in warm temperate & sub-tropical waters. 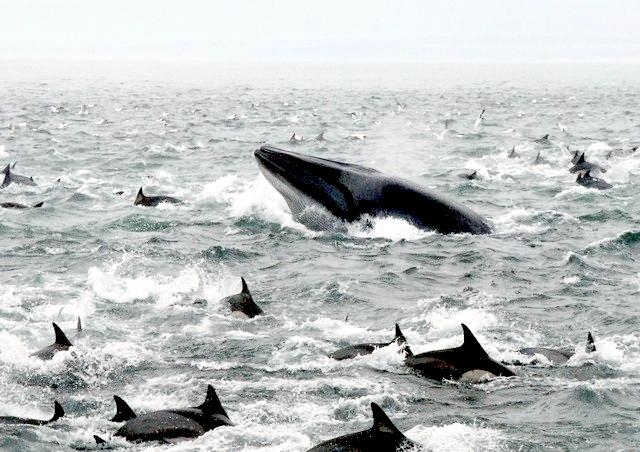 Populations exist mainly in warmer waters (20 °C). 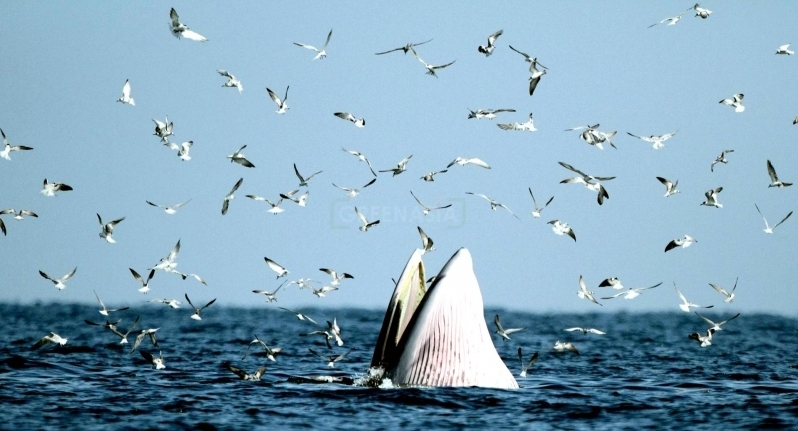 They are not migratory but they do move between inshore to offshore waters to follow food. 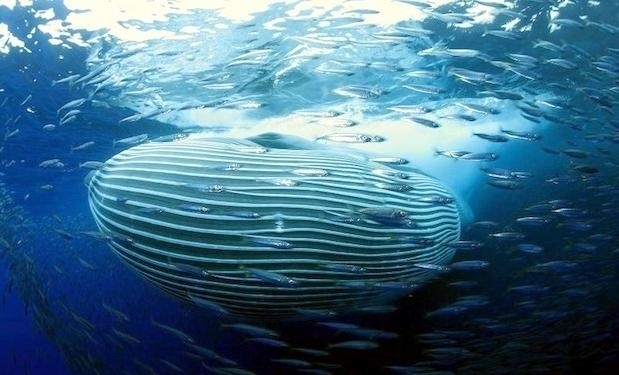 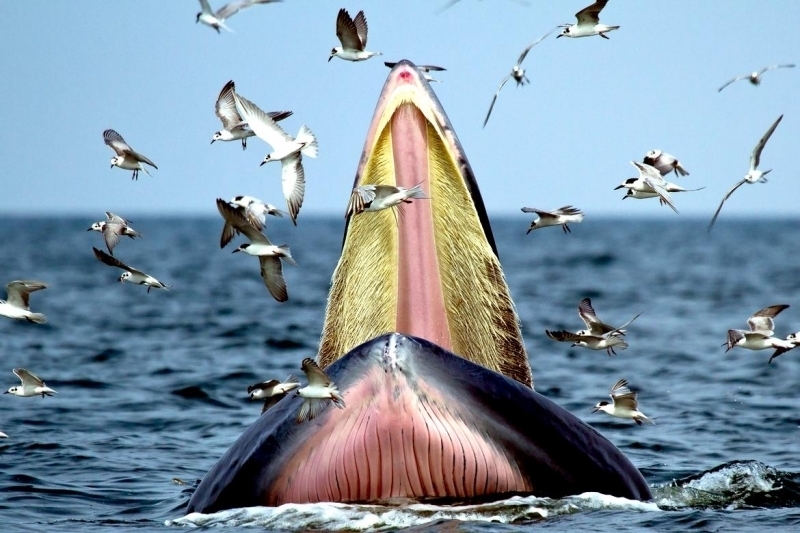 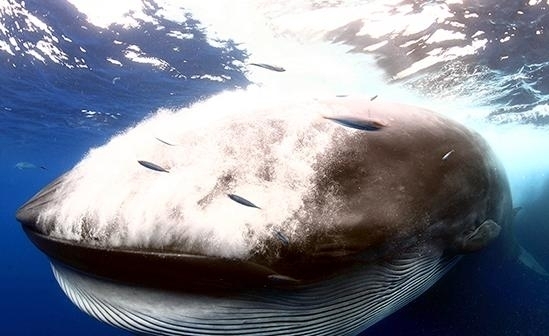 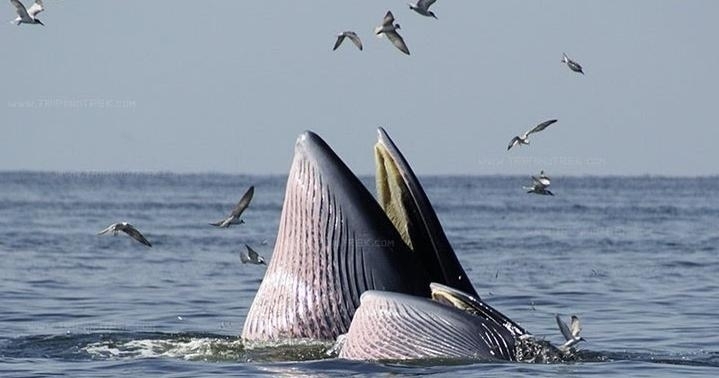 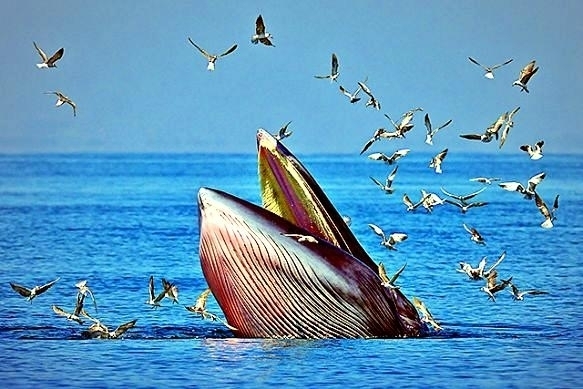 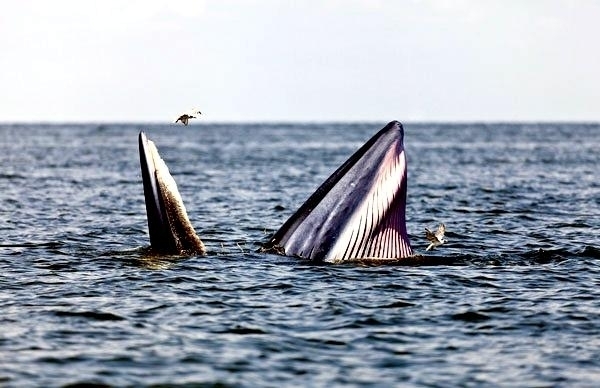 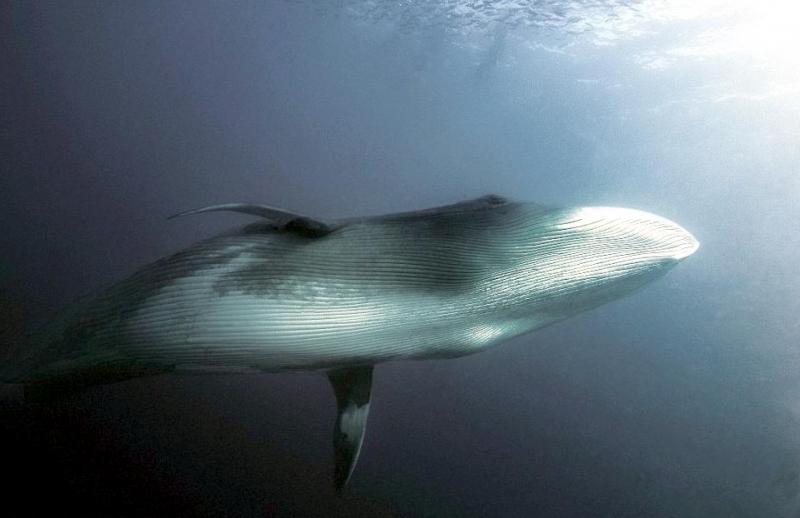 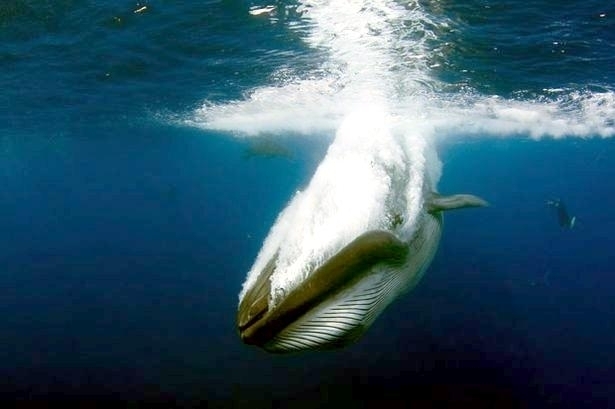 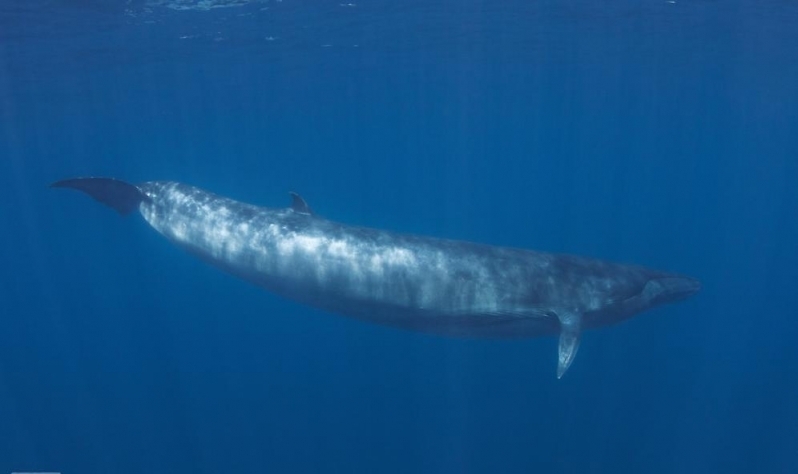 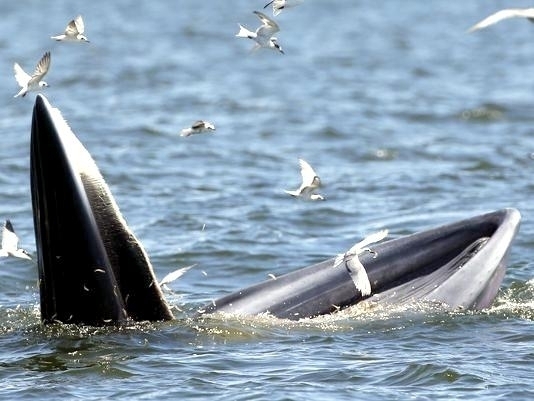 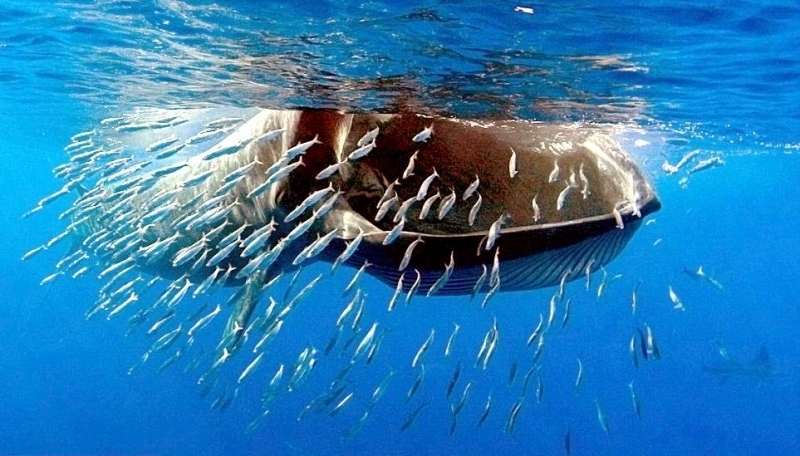 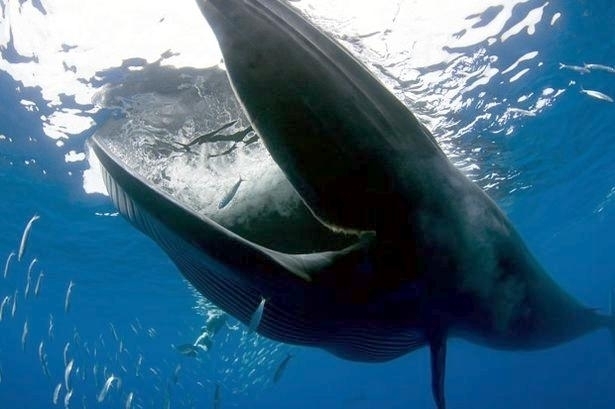 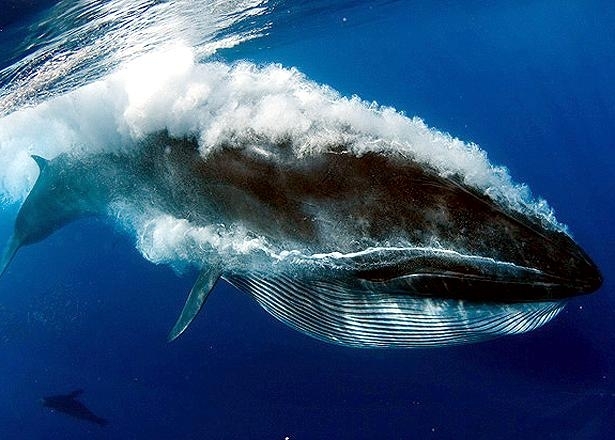 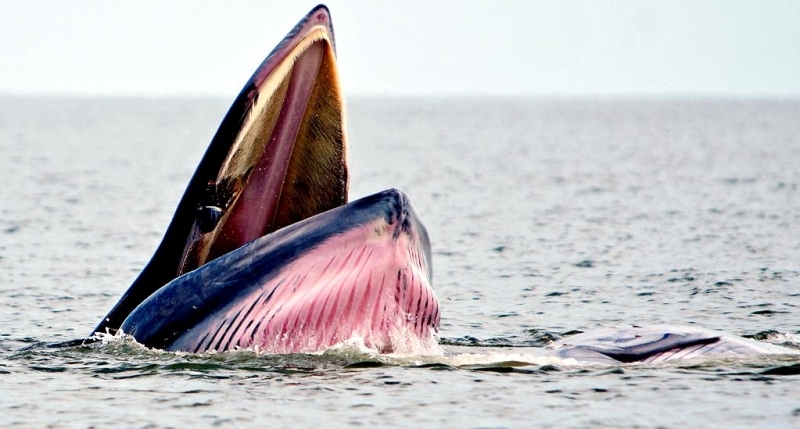 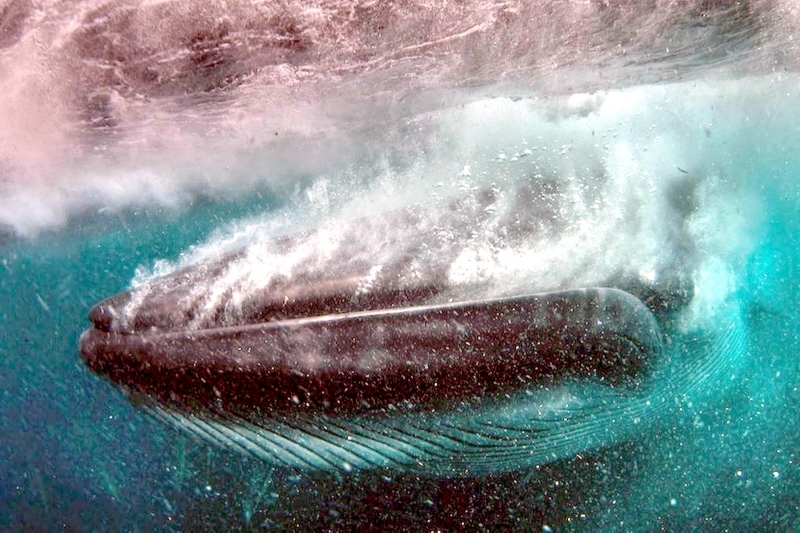 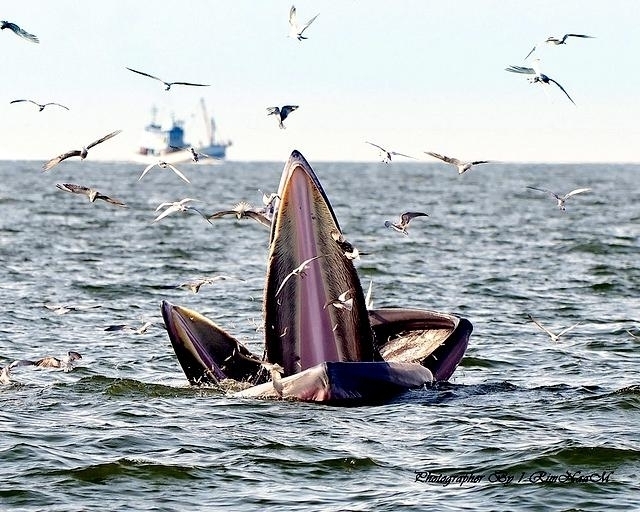 Bryde’s Whales feed almost exclusively on pelagic fish (pilchard, mackerel, herring, and anchovies), pelagic crustaceans (shrimp, crabs and lobsters) and cephalopods (octopus, squid and cuttlefish). 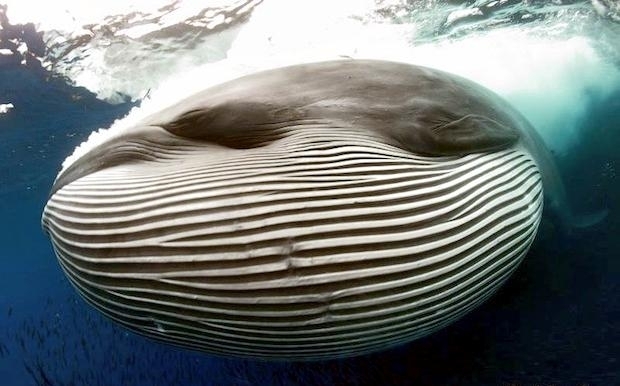 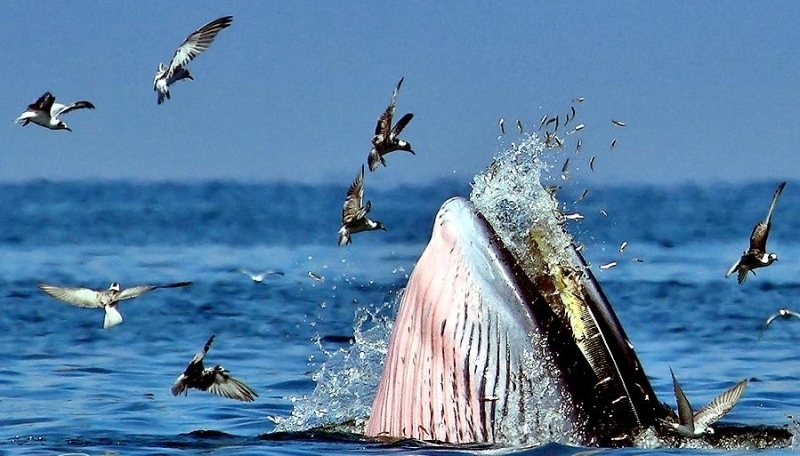 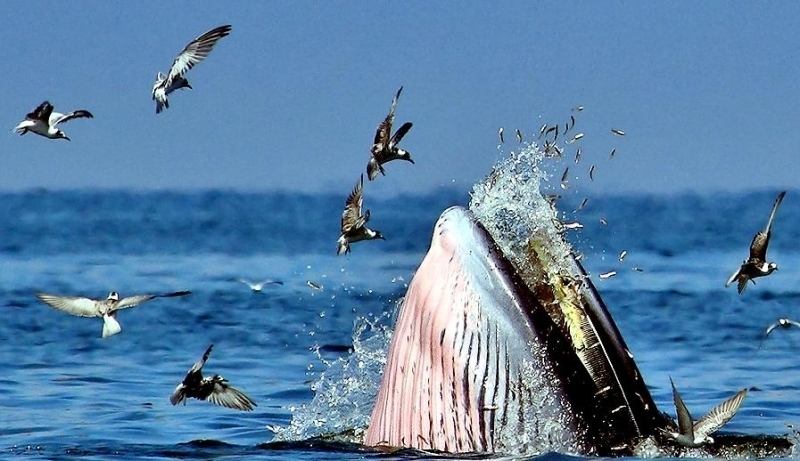 The Bryde’s Whale consumes whatever shoaling prey is available and often exploits the activities of other predators, swimming through & engulfing the fish they have herded. 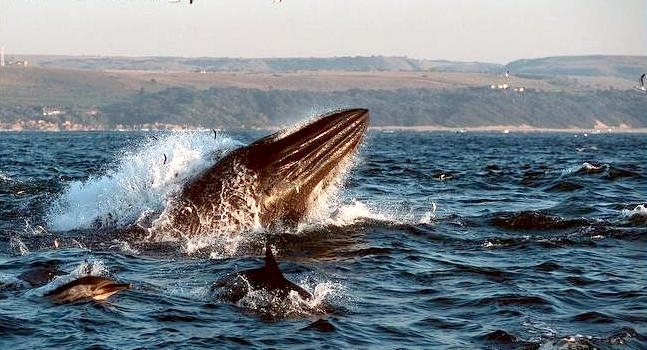 They are therefore frequently found in areas of high fish abundance along with seabirds, seals, sharks and other cetaceans. 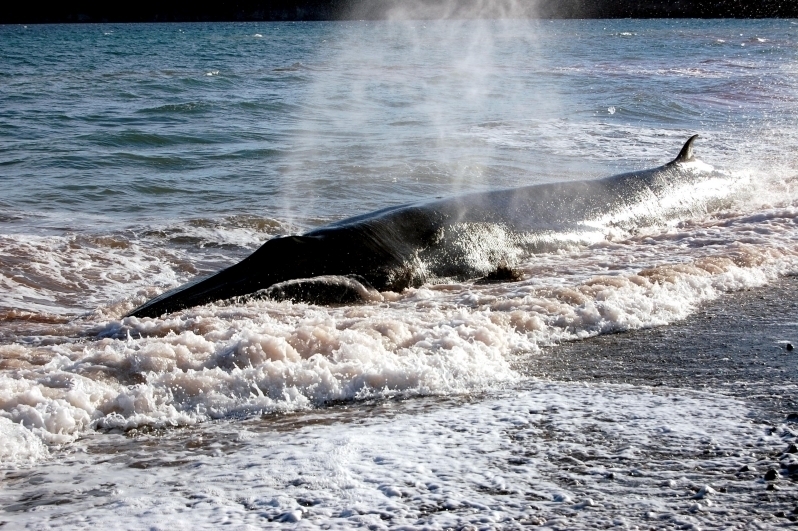 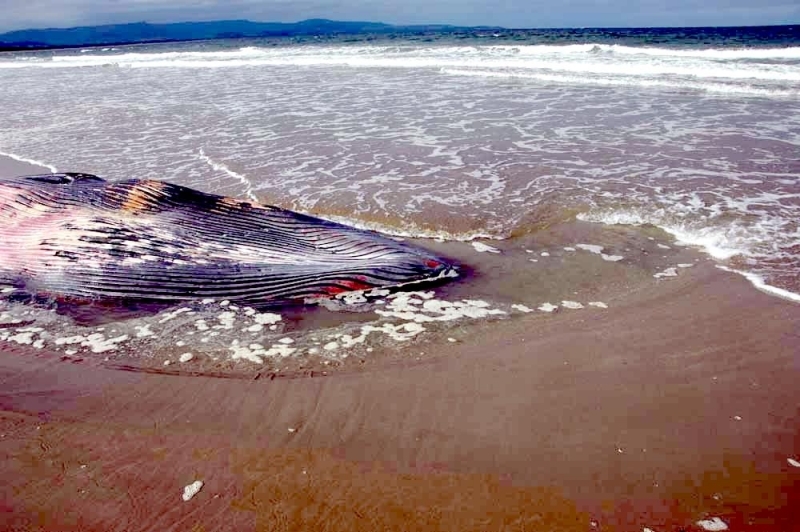 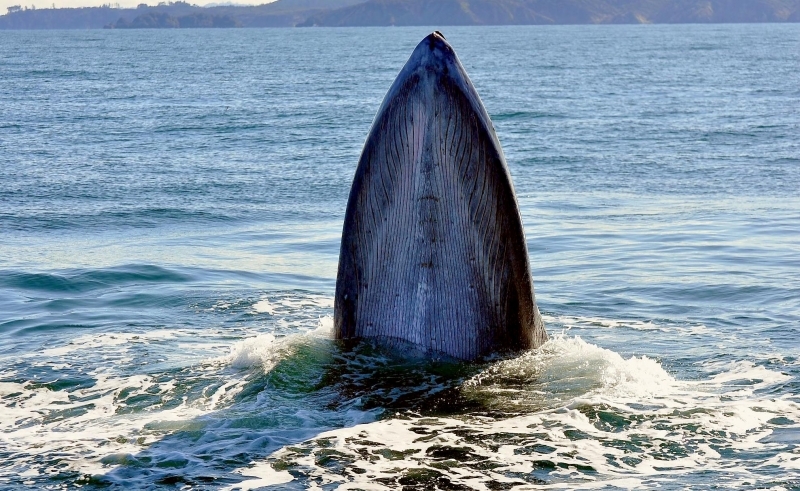 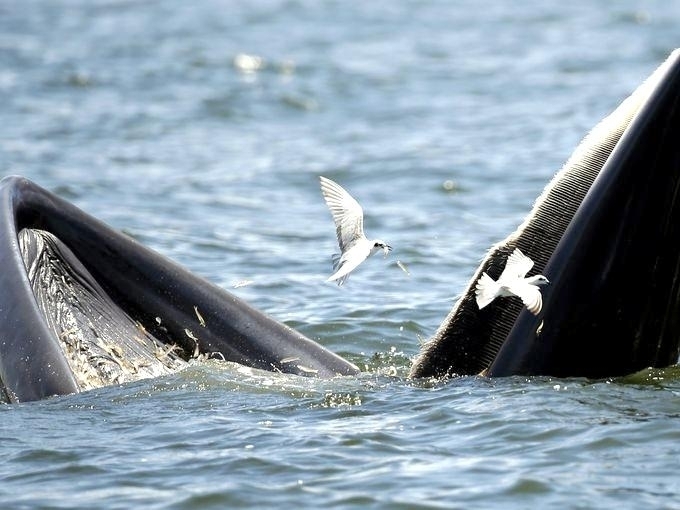 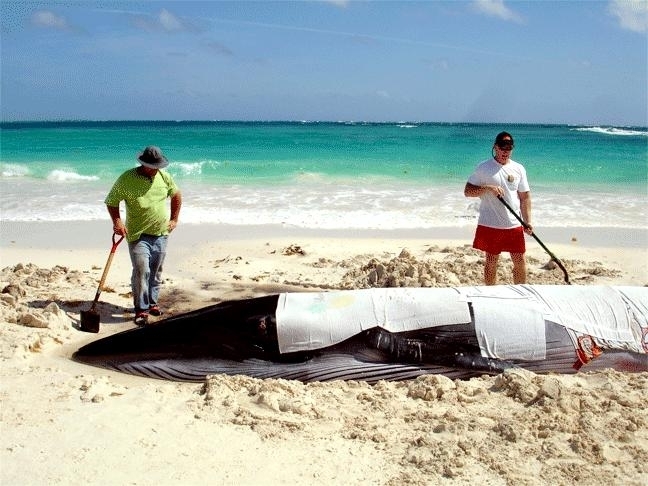 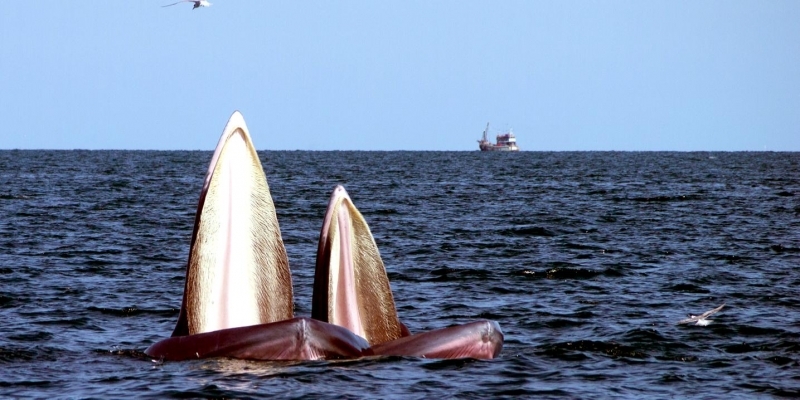 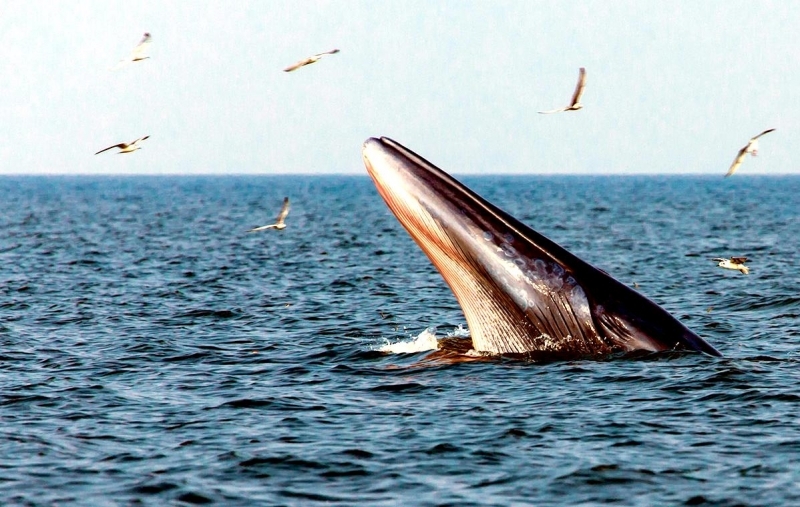 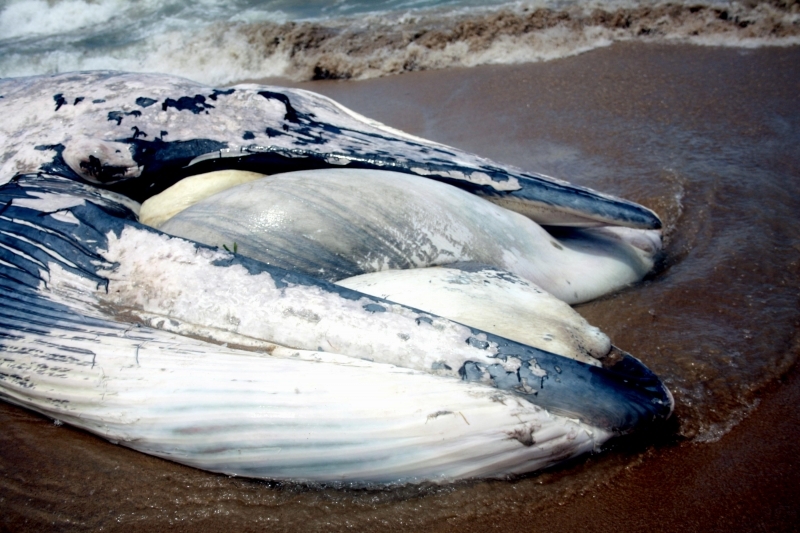 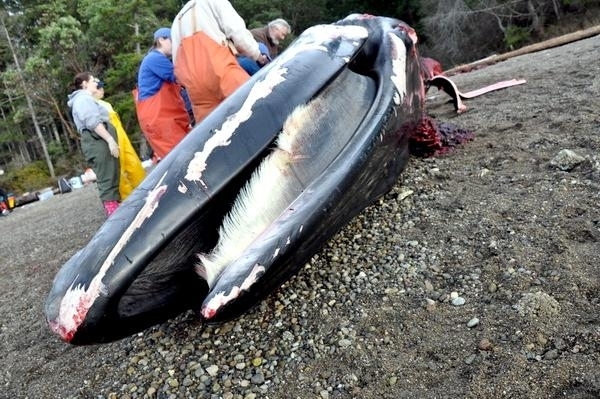 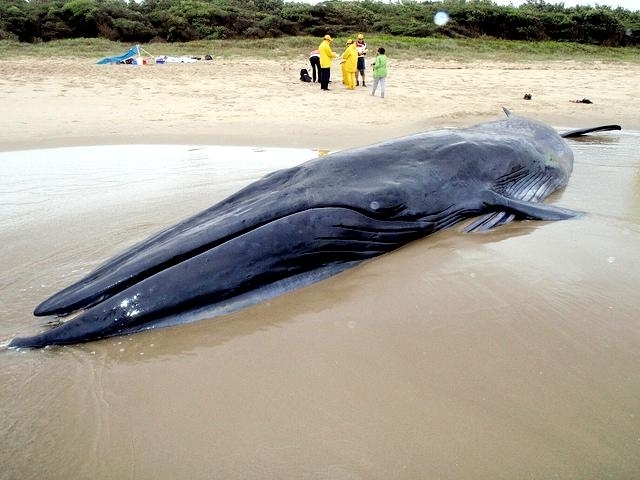 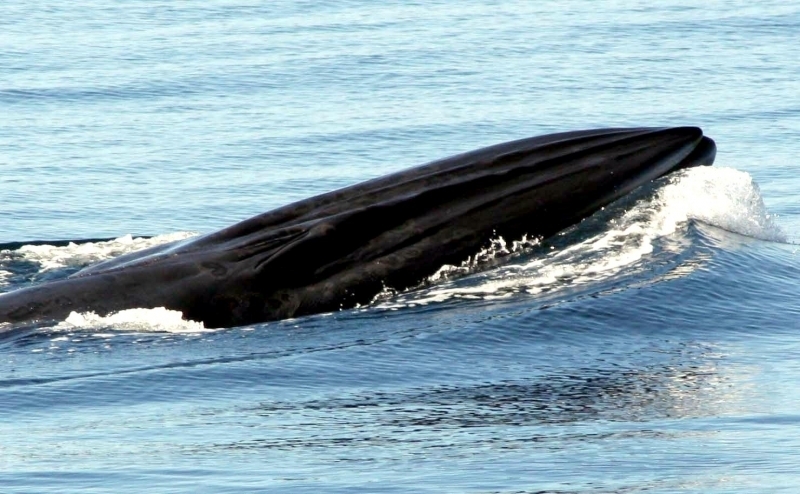 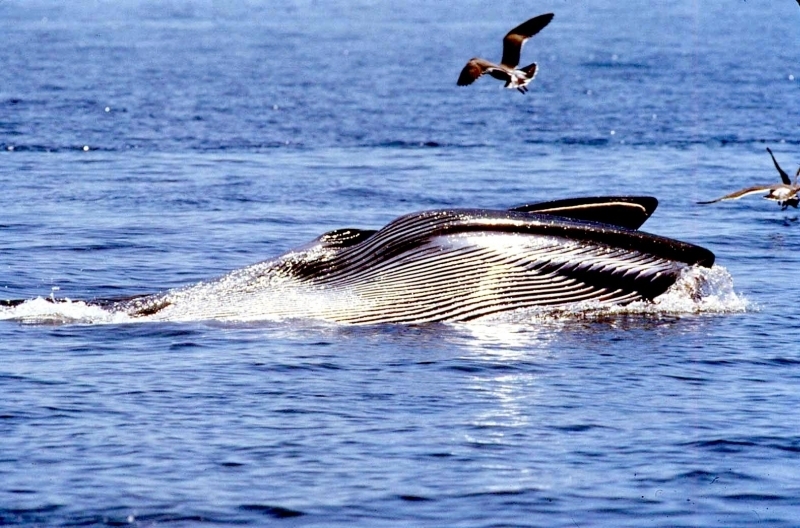 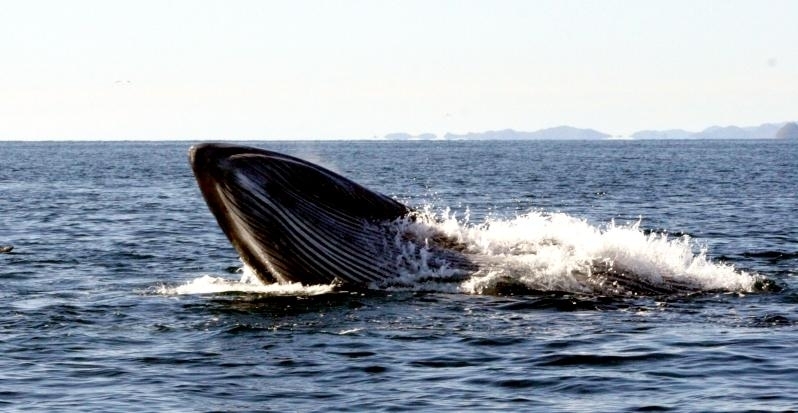 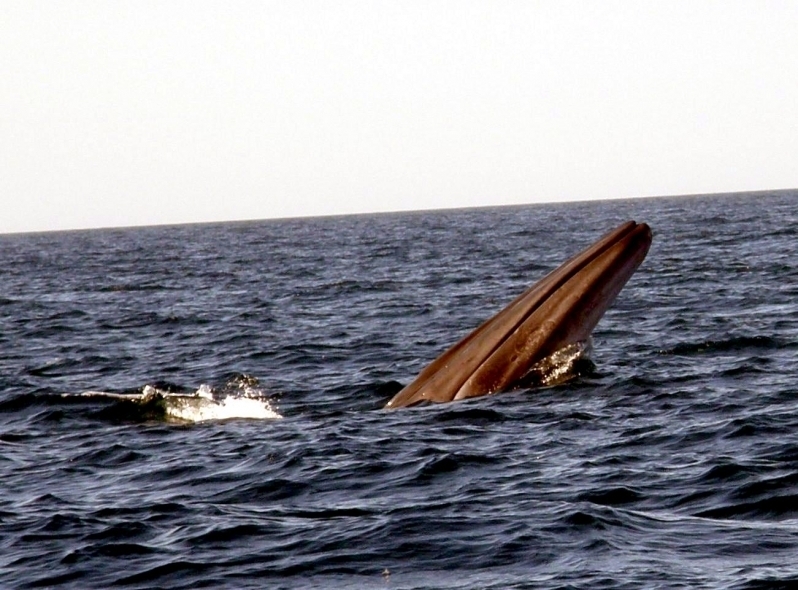 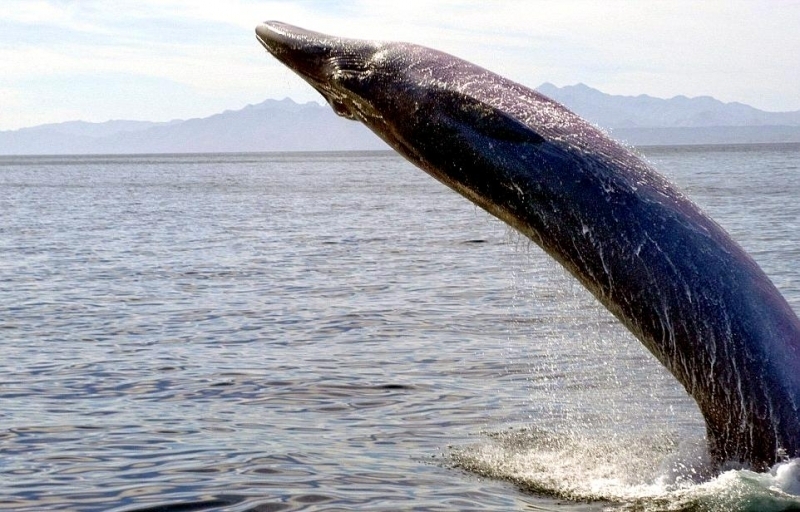 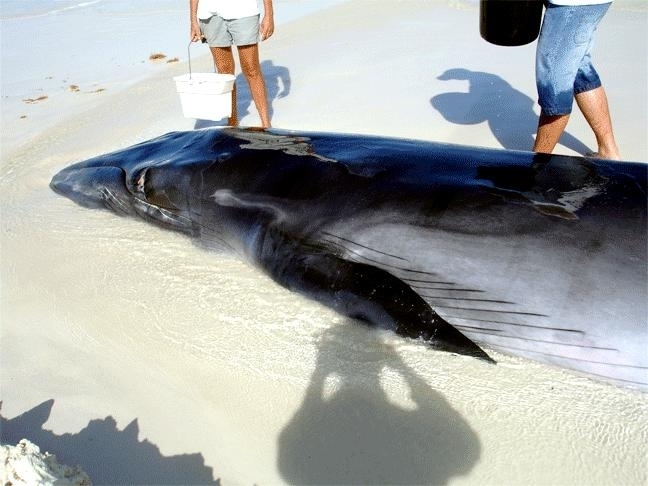 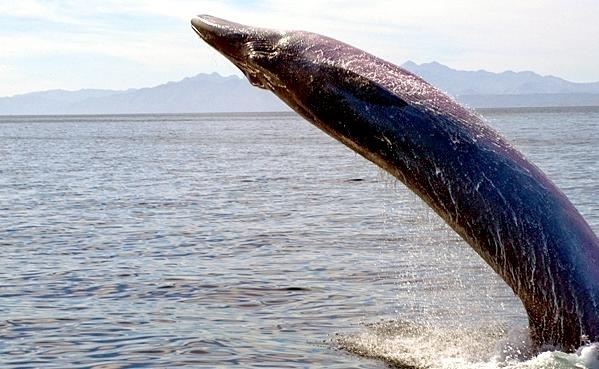 Breeding occurs year-round for Bryde’s Whales. 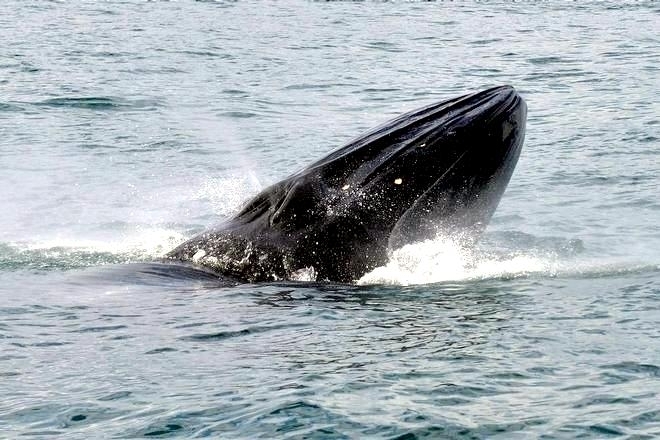 Sexual maturity is reached at 10 years of age for males and 8 years of age for females. 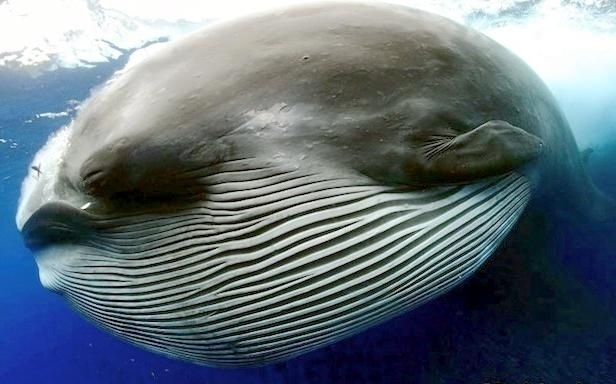 The gestation period is approximately 12 months. 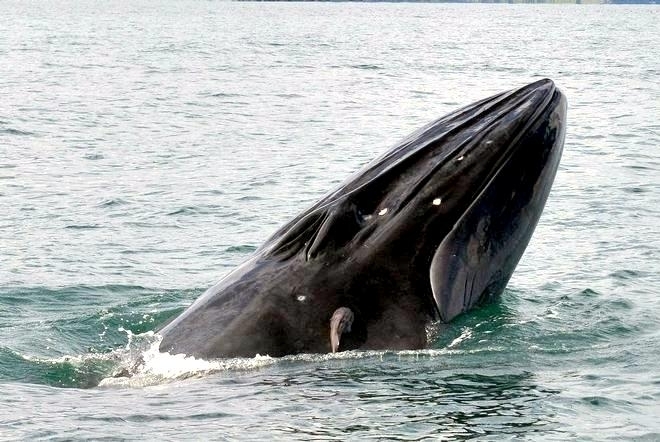 Most females bear 1 calf which are around 4 meters and weigh 1,000 kilograms at birth. 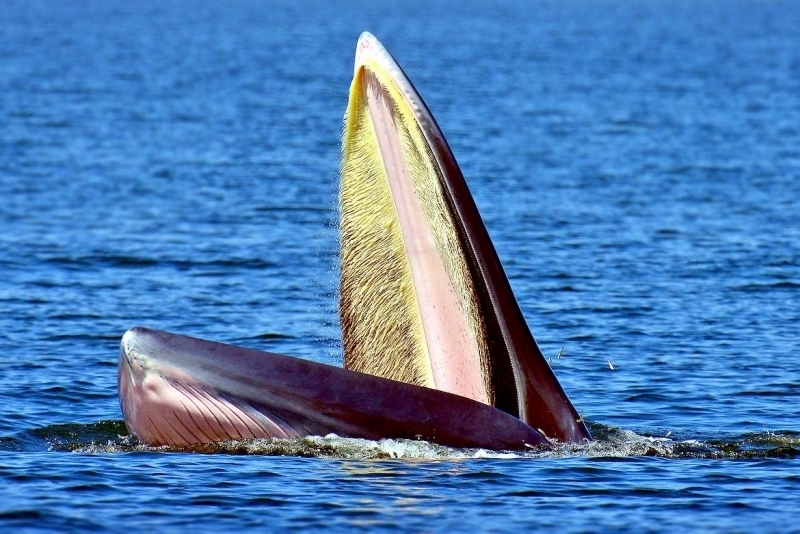 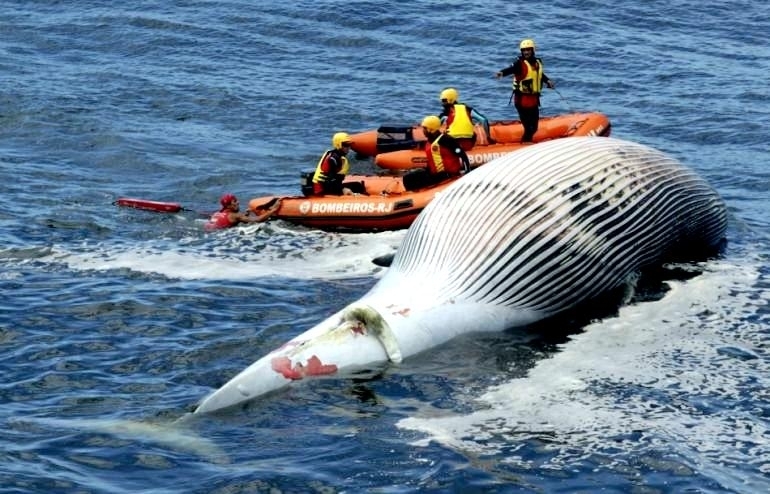 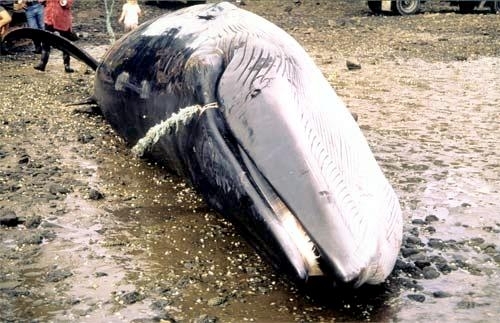 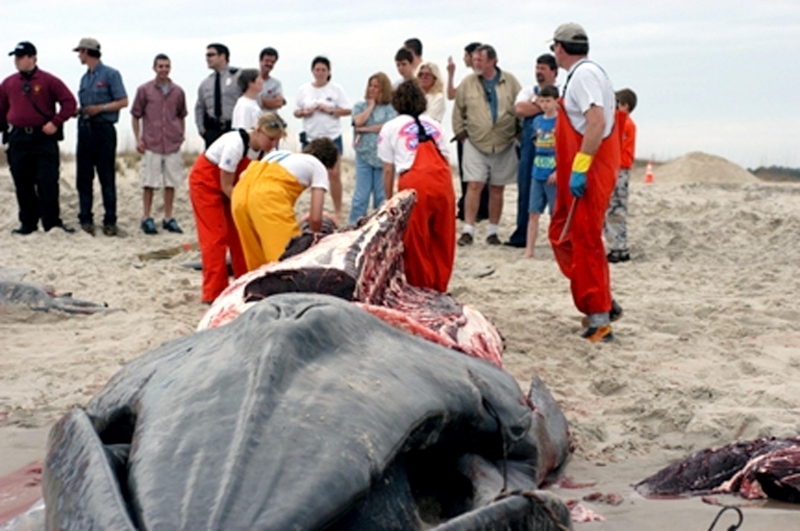 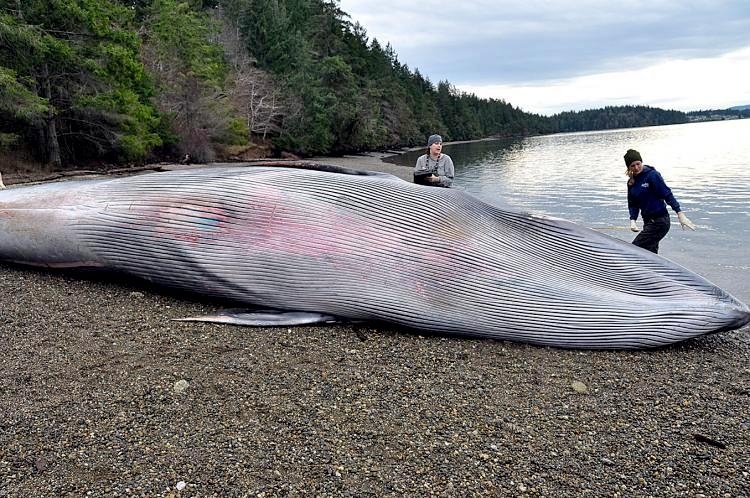 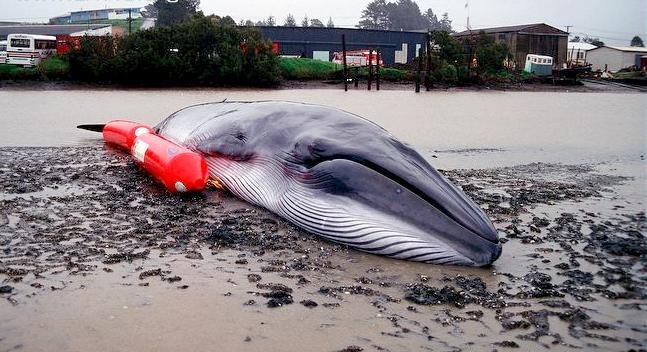 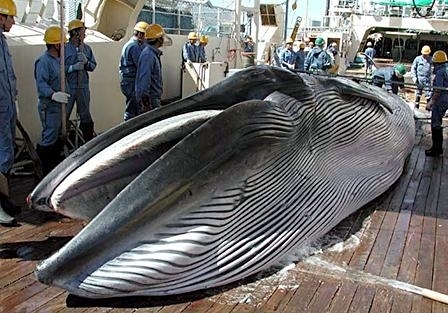 Some populations of Bryde’s Whales were seriously depleted as a result of historical whaling practices. 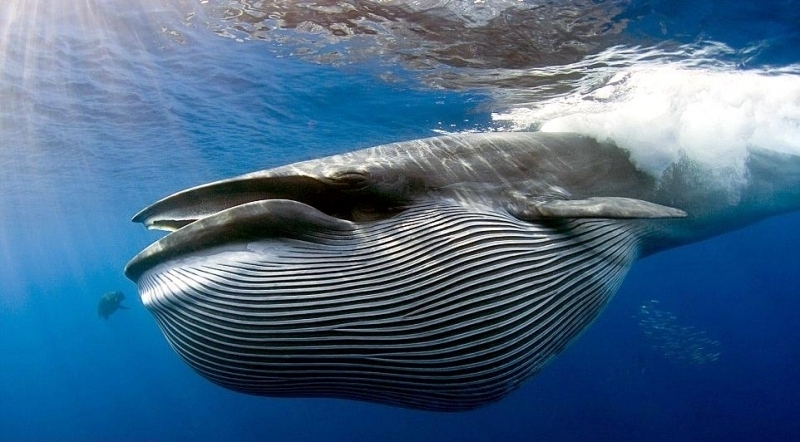 As a direct result of the 1986 Moratorium on Whaling, Bryde’s Whales are protected worldwide with an estimated current population of 40,000 to 80,000 animals.